The new inductive factor 1 sensors from Balluff detect all metals at the same switching distance, without any reduction factor. This offers distinct benefits when the objects that need to be detected in an application can be made of different materials. 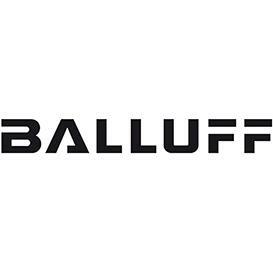 As a medium-sized company, family-run for four generations, Balluff has grown year on year since its establishment to become a global player. The company was quick to open up to the international market in the early 1980s, which allowed it to establish itself in all key markets and set up the 68 sites it currently operates worldwide. As a result, Balluff can understand the needs of its customers both better and faster, and offer them exactly what they need - high-quality sensor, identification and networking solutions, and software for holistic system solutions for every area of automation. Balluff is now adding a new innovation in sensor technology to its range, which can detect objects at the same switching distance - no matter what they’re made of. The inductive factor 1 sensors from Balluff can even detect any metals (e.g. steel, aluminum, brass) at the same switching distance, without any reduction factor. This feature offers benefits - to the metalworking industry in particular - in applications where the material of the detected object can vary. Not only that, but the strengths of Balluff's inductive factor 1 sensors also come into play when non-ferrous metals have to be detected at a considerable switching distance. They are also resistant to magnetic fields, meaning their performance is not affected by strong electromagnetic fields. So whether they're used in induction hardening or in welding systems, the new factor 1 sensors are a solution you can always rely on.